Will you be attending the 2018 CHES National Conference? We’d like to hear from you! 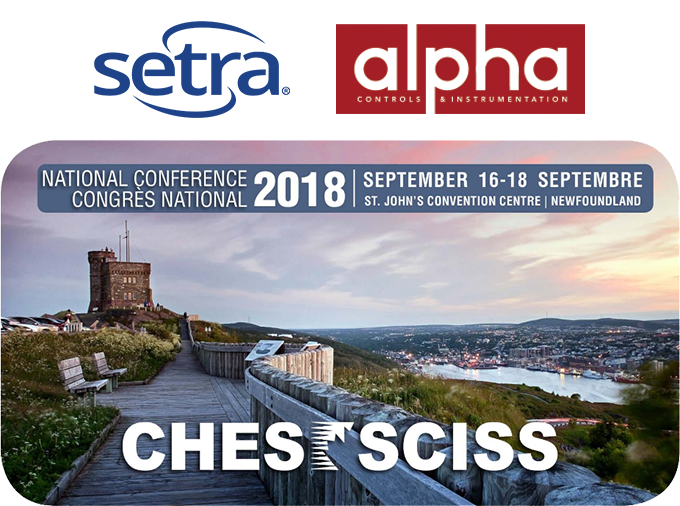 Teams from Setra Systems and Alpha Controls will be in St. John's NL on September 16-18 at booth #406 to answer any questions you might have about environmental monitoring, particle counting, or other sensing solutions for your facility's critical environments.